Welcome to the Villa Deylof! 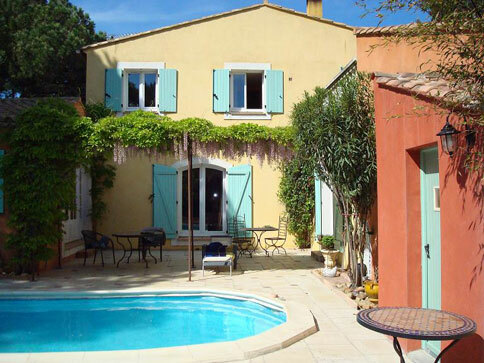 We offer for rent 4 independent studios in a beautiful villa with pool in Aigues-Mortes (30). Located in the South of France, in Camargue, Aigues-Mortes is a medieval fortified city of the 12th century. Ramparts, towers and 12 access doors, give to the city a historic charm. Aigues-Mortes is located at equal distance (about 30 km) from Montpellier, Nimes and Arles. The Villa Deylof is located outside the ramparts of Aigues-Mortes, at 15 minutes of the naturist and gay beach of Espiguette. The Villa Deylof is composed of 4 studios from 20 to 30 m² in a garden of 1250 m². 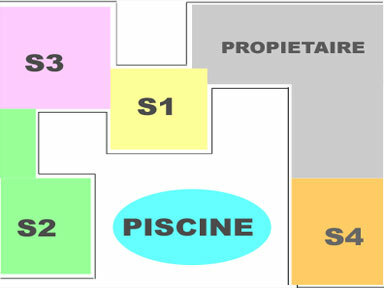 The swimming pool is 7.30m in length, 3.30m in width and a depth of 1.10m. It is a friendly place where people love to come from breakfast and going to the beach (among others) to chat with their neighbors during the hot summer in Camargue! 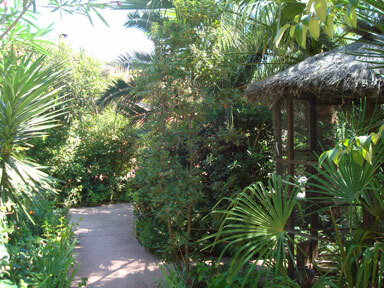 Villa Deylof has a spacious garden with a parking for your vehicle inside the property. 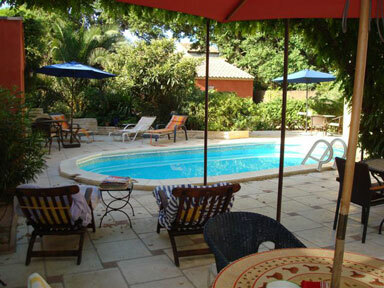 You also enjoy a pleasant terrace with sun loungers and a barbecue around the pool. New : a jacuzzi for 4 persons is in the garden ! Each studio has a queen bed (160 cm) except the Studio 4 that has a regular double bed (140 cm) on the mezzanine. All studios also have a bathroom with shower, a fully equipped kitchen (coffee maker, toaster, microwave, 2 hotplates and dishwasher), and a private terrace. The studios have also a WiFi connection, TV with satellite (French TNT and foreign channels), DVD and / or HIFI. The sleeping is in mezzanine with a narrow spiral staircase but you sleep under a velux with eyes in the stars! Naturism is permited on terraces around the swimming pool. Reservations start from October 1st. The villa is exclusively gay from mid of June to mid of September and open to everyone (hetero-friendly) the rest of the year but there is always possibility to book a gay week outside of this period. Approximately 20 minutes drive from the villa, a little over an hour by bicycle, the Espiguette beach is a vast sandy beach that stretches from Port Camargue to the “Petit Rhône”. To get there, you have to follow Le Grau Du Roi direction, when you arrive to Grau du Roi follow the Espiguette direction. You will reach a paid parking (possibility to buya 10 entries card at a lower price), go to the bottom as far as possible with your car and walk towards the beach. You will arrive in front of the sea, on your right the textile beach and on your left the naturist beach. If you go on further, you will find the “swingers” beach and finally the gay beach with dunes. It is a protected wild and beautiful area, please take gret care of it: do not smoke in the dunes and pine forests and bring ALL your waste back with you! It is a medieval walled city full of charm with possibility of visits of the ramparts and the tower of Constance. It has about sixty small charming restaurants and a few bars: the Express or the parrot on the main square and the “Tac Tac” that has an unrivaled assortment of beers and whiskey. Aigues-Mortes is located at equal distance of Montpellier Nimes and Arles (30 to 40 km). During your stay, do not forget to try the specialties: la fougasse sucrée, le rosé des sables and its variants: grapefruit, tapenade, etc. You can enable/disable cookies by clicking Customize. When you visit a website, it may store or retrieve information about your browser, mainly in the form of cookies. This information may affect you, your preferences or your device and is mainly used to make the site work as you wish. The information does not usually identify you directly, but it can provide you with a more personalized web experience. Because we respect your right to privacy, you can choose not to allow certain types of cookies. Click on the different categories to learn more and change our default settings. However, blocking certain types of cookies may affect your experience of the site and the services we are able to offer. Strictly necessary cookies must be permanently enabled to allow the recording of your personalized cookie settings. If you disable these cookies, you will not be able to save your preferences. This means that every time you visit this site you will have to set your cookie preferences again. Keeping these cookies enabled allows you to take full advantage of the features of this site and helps us to track its activity to improve.